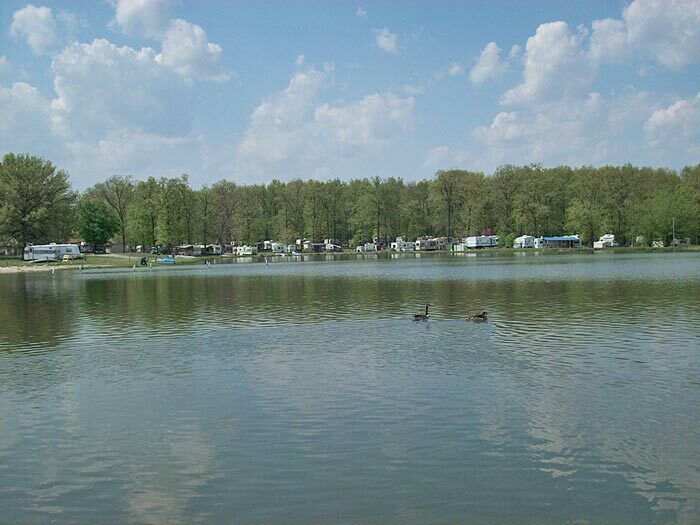 ​ With over 38 acres in the heart of Ohio, our campground is the ideal place for exploration of the many exciting natural treasures in Central Ohio. Whether you want to ‘rough it’ in one of our primitive tent sites or have all the comforts of a full RV hook-up, we offer a get-away that is just what you’ve been looking for. We have planned activities for all ages, or just sit and relax at your site or on our beach. Remote enough to be a welcome break from urban life, but close enough to enjoy any weekend, make our pristine property a family tradition. Come and enjoy some of Ohio's finest sunsets with people you will soon be calling friends.